Not related to the post above. For those who are interested in sidurim (and nusach Ariza"l in particular) - just few days ago came out a new beatiful print of Munkatcher sidur - "Tzvi Tiferes". Ask in sforim stores soon. 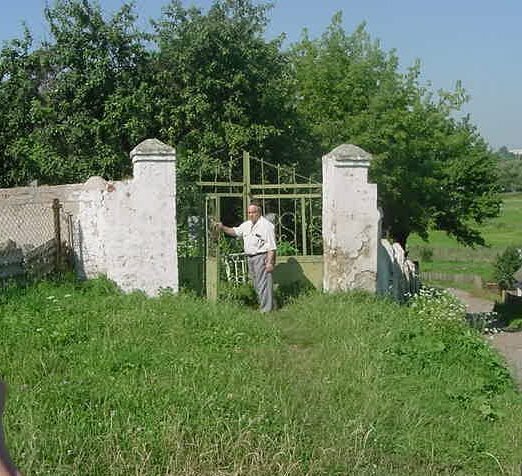 By the way, where does that old photo from Shepetovka come from? It was printed in National Geographic and also in the book Roots in Ukraine and Moldova by Miriam Weiner. 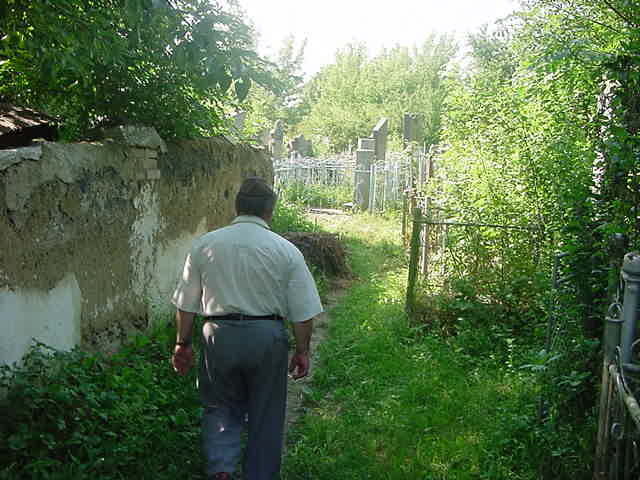 A footnote/correction about the cemeteries in Shepetovka: although the new cemetery was opened in the late 1920s, Rabbi Frankel's web site notes that the old cemetery in the center of town was razed after World War II and the memorial to R' Pinchas (the three ornately decorated stones photographed by ASJ in 2001) was constructed in that era (post-WWII). What is the address of Rabbi Frankel's web site? 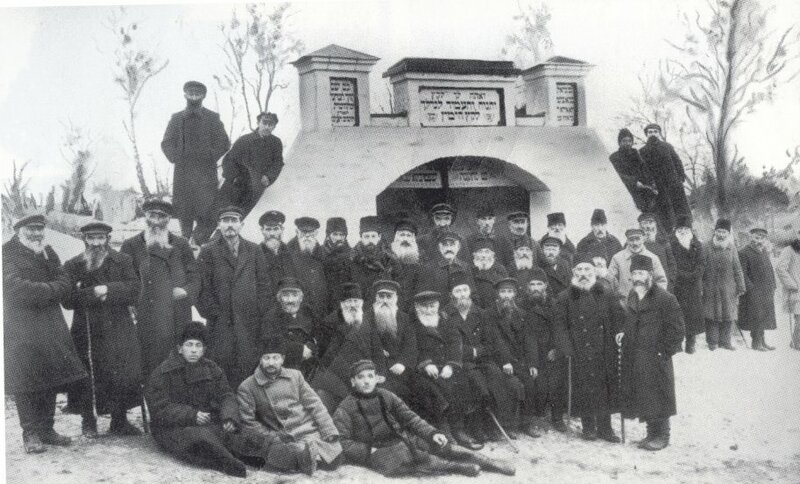 It's http://www.shemolam.com/rabbi%20pinchos%20of%20koretz-%20e.files/frame.htm#slide0053.htm (ASJ provided the link in the post about R' Pinchas). I just sent you an email with contact information on the two rabbis. I figured out - something was strange with that site. It didn't work properly in my Firefox browser, so I opened it with IE and it worked better. I was looking for such old nigunim of talmidey Baal Shem Tov for quite a while! I wonder if there are some nigunim from the Degel as well? (ASJ - hint). I just searched for a book "Jewish Roots in Ukraine and Moldova" (referenced before by ASJ). It costs almost 500$!! Why such an astronomic price?? I never saw genealogical books SO expensive. Even M. Beyder books (very high quality), cost around 80$ for each tome. But 500$?? Russian Yidden also published research books on Ukranian shtetlach, for example "500 shtetlach of Ukraine" (it speaks about history of Bershad there by the way! ), but they never dreamed to charge so much for it (I guess noone will buy it for such price if they would). I'm sorry, I meant "100 Shtetlach of Ukraine". A Yid: You are 100% correct. $500 is way too much. I bought my copy when it was first published for the list price of $60. I really have no idea why the price has inflated so much. On a side note, is "Tzvi Tiferes" available at Heichal Menachem? A Yid: Regarding niggunim from the Degel, I am not aware of any. The book "HaNiggun v'HaRikud B'Chassidus" does not list any attributed to him. Isn't that correct Yitz? I sure would like to be proved wrong on this one! That's correct ASJ. We don't know of niggunim of his, but that doesn't mean there weren't any. We know that music played an important role throughout Chassidic history, not least of which in the early generations of Chassidus. I'd appreciate if ANYONE has more info on this! Heychal Menachem gets sforim quite slowly. It is available in Bigelayzen and in Munkatcher shul in Boro Bark. I can find the phone of Bigelayzen for you if you need it. About nigunim - I was hinting, that since you have a close relation to Rabbi Vogl from Eretz Yisroel (who is a descendant of the Degel as I understood?) who is a Sudilkover Rebe, you may try to get some nigunim from him or his chasidim. Have in mind - the majority of the best old nigunim were never recorded anywhere, and are preserved only orally by different chasidim and tzadikim. If someone wants to get them for his avoydas Hashem - his job is to go around and to collect them. Vogl seems to be a special family. Its branch from Skolye also possess a lot of old authentic nigunim. That part of misphochas Vogl somehow comes from Rebe Reb Boruchl miMezhbuzh as well. A Yid: I have Biegeleisen's phone number, but thank you anyway for your offer to help. I am actually in touch with Rabbi Aryeh Wohl who is the Sudilkover Rebbe. I will let him know your suggestion, nevertheless. My grandfather's grave fence is in right corner of this picture. I have not been at this place for years... Do you have other pictures available? I am a descendant of Rabbi Pinchas of Koretz, and I am researching my family history and genealogy. 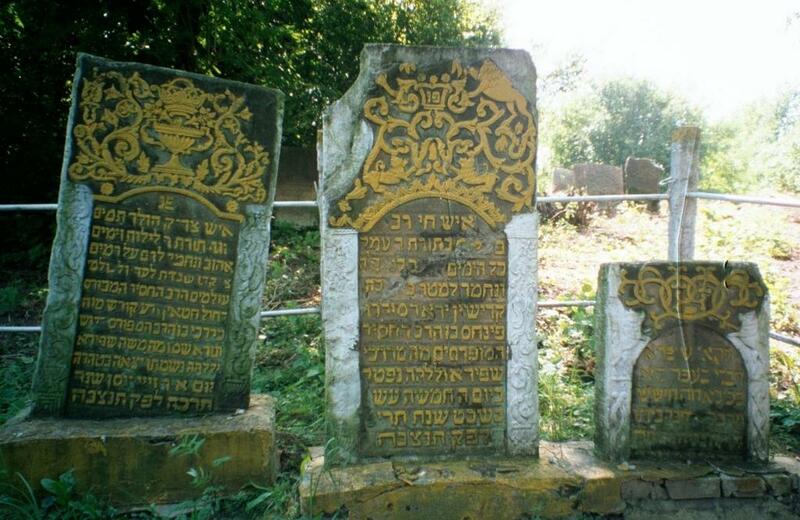 I am trying to locate a translation of the Hebrew inscriptions on Rabbi Pinchas' grandson's and great-grandson's memorial headstones. If this information is not available, a good, high-resolution photograph of the headstones would be a great help. If anyone knows where this information can be found, please email me at saxkat@msn.com. My family Mazer came from Shepetovka. My earliest records show them in Nashville, 9/22/1877. Any help in finding any family history, marriages, births, deaths from Shepetovka? My family were the Morochnicks - Barney and Sarah and their five kids: Abraham, Issac, Anna, Morris, and Louis. They emmigrated to the U.S. around 1909 from Shepatovka. I know Barney had two sisters and a mute brother who stayed behind. Do we know what became of them? My uncle went to Russia in the 1960s or 70s but was unable to get any cooperation from the authorities and no one would talk to him. I'd like to find family if there are any left. Im researching my family. My great-grandpa Benjamin Vorona and my great-grandmother Getrude Russman came from Shepetovka. If there was any information on them, I'd truly appreciate it. I notice that R Pinchas of Koretz has last name Shapiro, as I, my father, and my grandfather David do.. My great grandfather Yeshiahu Shapiro, a shochet, came to the U.S. after my grandfather did, early 1900s. It would be quite exciting for me to discover that I was in the lineage. Kindly, what do you know? We think that my mother's family came from Shepetovka. Peissech Kosakovsky and his wife Hannah changed their name to Kaplan and lived in Chelsea, Massachusetts from 1900. My mother was Rachel Leah, changed to Lillian Ruth. I would be grateful for any information.